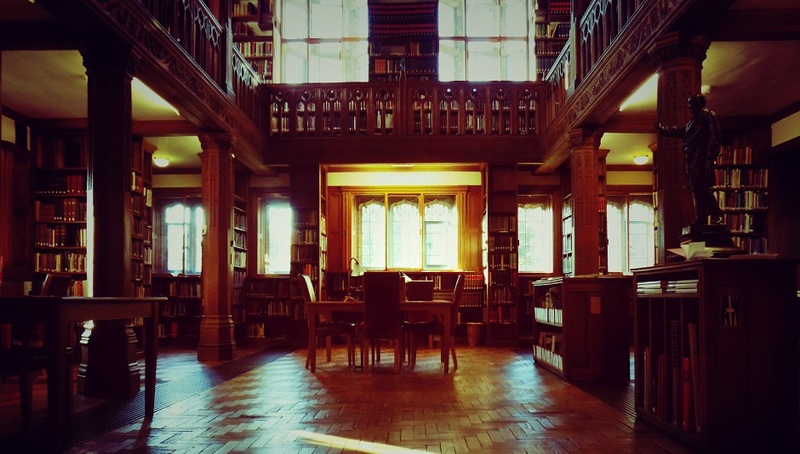 The Reading Rooms are a silent study space and only registered Readers and Residents can enter. If you are visiting for the day and would like to know more, why not join a Glimpse at 12noon, 2pm or 4pm. Glimpses take around 10 minutes and include a short history of the Library before a quick visit to our silent History Room. Glimpses are drop-in events and cannot be booked in advance. Please note that we cannot accommodate groups of more than 10. This is on a first come, first served basis. To help us protect our collections, we encourage anyone attending a Glimpse to leave bags and coats with Reception: bags and coats can damage shelves and collection items, and wet clothing poses an environmental hazard. To keep our visitors safe, Glimpses only take place on the ground floor. We receive over 100 requests for tours, visits, and guest speakers every year. However, the Reading Rooms are now so busy that we are unable to offer longer tours, guided talks, or lectures to visiting or external groups. Large groups also cannot be accommodated. To address this outreach and engagement issue, the Library is working to invest millions in a new building. To show your support, please see Gladstone’s Living Heritage. If you are visiting us for a Glimpse, make a day of it and book lunch or Afternoon Tea at our Food for Thought bistro. If you would like to book a tour of St Deiniol's Church, please contact the Parish Office (01244 534912). Please be advised that on the May Bank Holidays (Monday, 6th & Monday, 27th May) no Glimpses will be running. This is to allow library staff to complete essential work with the collections. Thank you for your understanding.